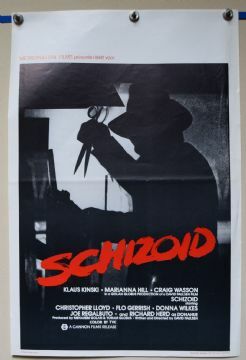 Schizoid (Cannon Group,1980) Belgian Poster Size 21.5" x 14.5"
Mystery horror starring Klaus Kinski and Donna Wilkes . The poster has light creases in the right border. Displays incredibly well.